Trenton Beckendorff graduated from the University of Texas at Austin with a degree in Computer Science with a minor in Business Foundations. He is a founding member of Bioinformatics Practicum, a student organization that promotes undergraduate involvement in the fields of bioinformatics and computational biology. 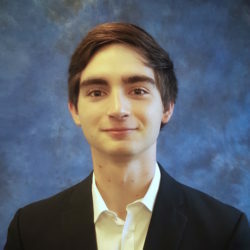 His interest in bioinformatics became solidified through his participation in the Freshman Research Initiative’s Big Data in Biology research stream, wherein he had the opportunity to analyze datasets generated via Next Generation Sequencing (NGS). As a Genetics Education Student Leader, he is passionate about encouraging more students to explore the world-changing field of genetics.